To improve the management of the City’s park system and prevent job loss, the City Council voted tonight to dissolve the Parks Board and create the Department of Parks and City Properties. According to Mayor Shannon Kohl, the creation of an additional city department will accomplish a number of significant efficiencies, not the least of which is protecting the overall operations of the City’s parks. “We are taking our park system in a new and improved direction. The Council’s decision tonight prevents job loss of at least three parks employees who will be absorbed into our city employee structure because those park positions already were in our salary ordinance. The creation of the Department of Parks and City Properties means that work can be done not only with our parks properties, but work on maintaining other City properties. Expressing disappointment and concern over the impact the loss of a recreation director could have on Martinsville’s parks in a letter to City Council President Eric Bowlen, Greater Martinsville Chamber of Commerce Chairman Tonya Dagostino and Executive Director Jamie Taylor cited the importance of quality recreational facilities to help attract young professionals to the community. As our “city park,” what happens at the Jimmy Nash Park significantly affects the perception of the park, our business community and the City administration. …many more people, local and visitors alike, have become engaged in our recreational community. 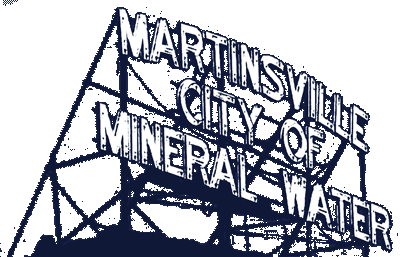 Emphasizing the importance of these activities and engaging the growing group of folks who frequent the park will only benefit us as we move forward and aspire to be the best Martinsville that we can be. For questions or interview requests, contact Mayor Kohl at 342-2861.